LoveWP WPKoi WordPress theme is free and a LoveWP Premium plugin is also available. You can check here the premade sites built with the free and premium versions. If You like LoveWP theme and need some extra feature You can get the premium version and use that as many site as You want (GPL license). You can read more the licenses below. 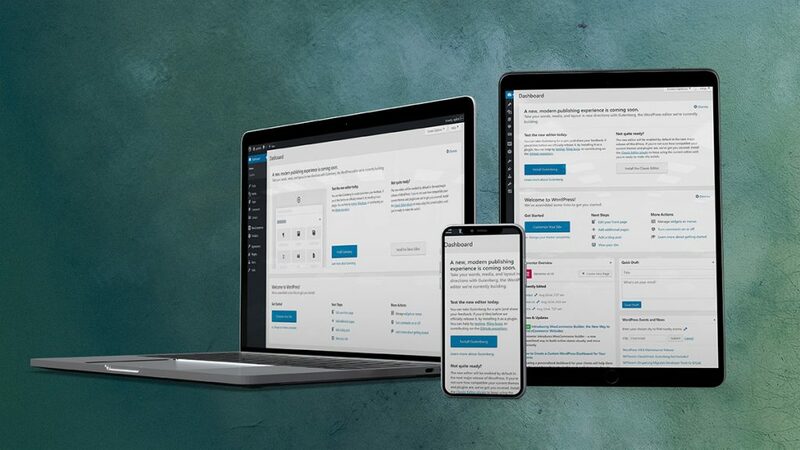 Do You love WordPress? You’ve found Your place! 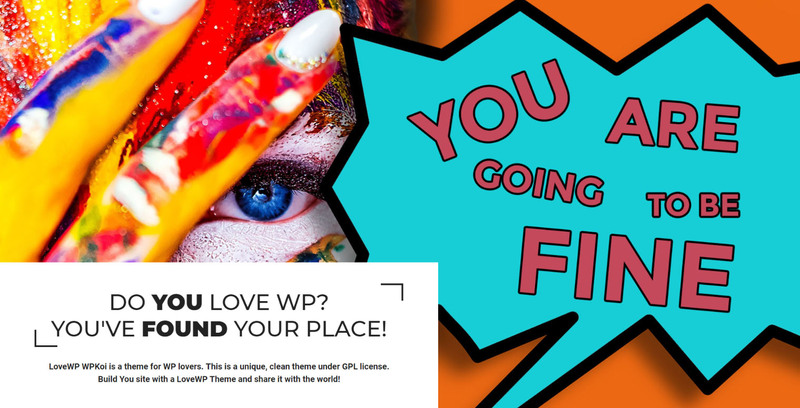 LoveWP is a theme for WordPress lovers under GPL license. The theme is multipurpose, so if You like the style, You can use it for represent Your business, show Your portfolio, start a blog, start a webshop and sell Your products etc. The demos use Elementor, WooCommerce and Contact Form 7 plugins. The premium demo uses the LoveWP premium plugin also. LoveWP has an easy to use admin with a lot of customizer functions, so You can build Your dream without coding knowledge. 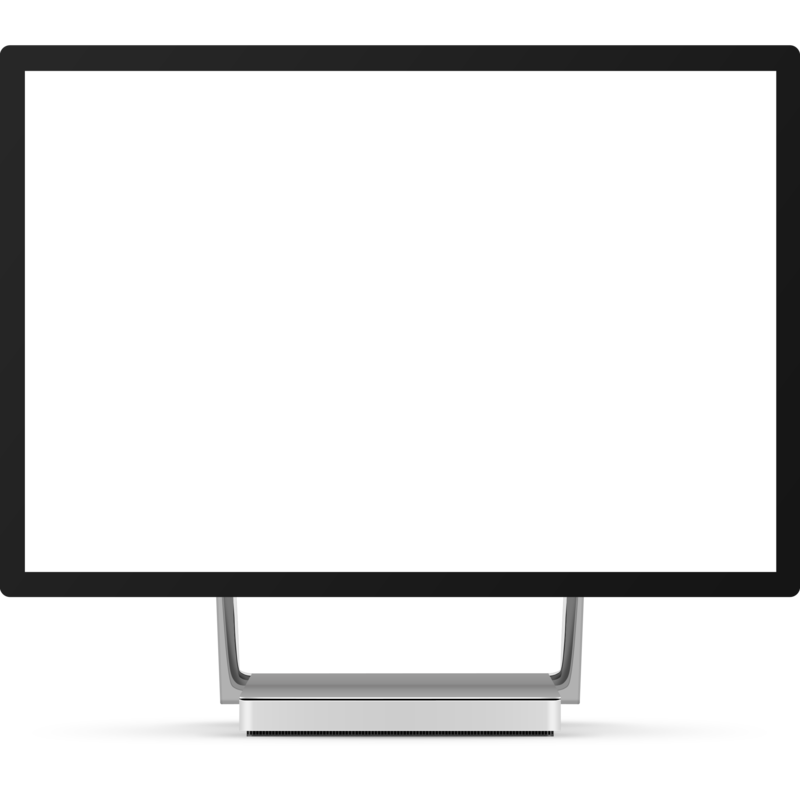 The theme is responsive so looks good on almost every devices. 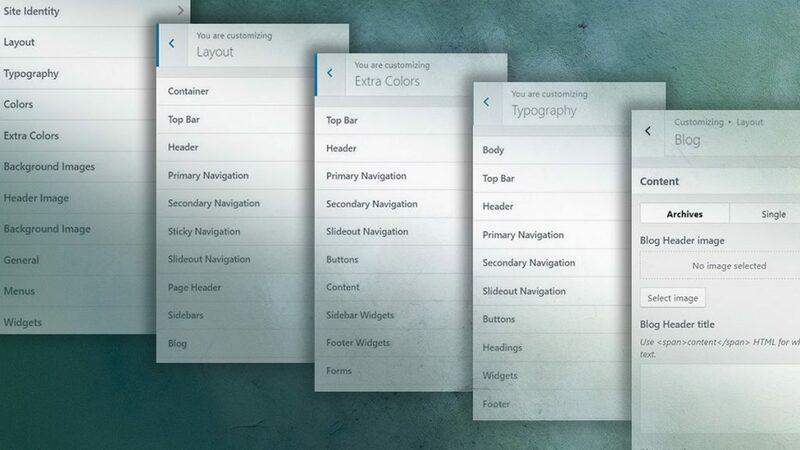 You can setup multiple header styles, navigation styles and layouts. 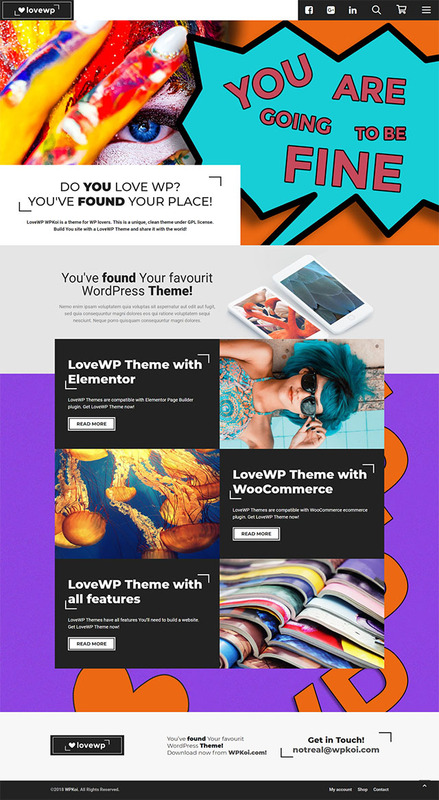 Build You site with a LoveWP Theme and share it with the world!